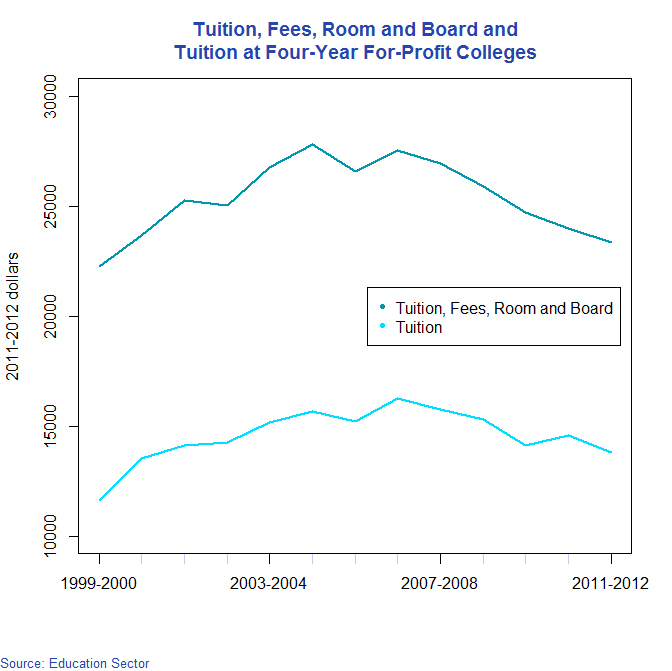 Private, for-profit colleges have joined the march of institutions that appear to be lowering their tuition as enrollment flattens out and families become increasingly price conscious. 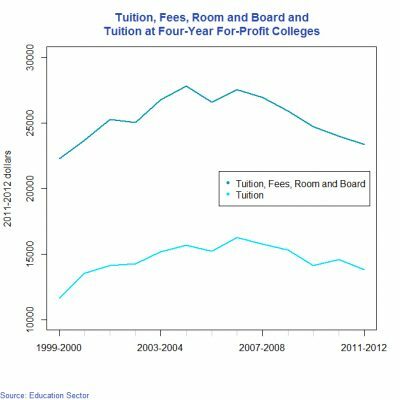 The average tuition paid by students at four-year, for-profit colleges, when adjusted for inflation, fell from $16,268 in the 2006-2007 academic year to $13,819 in 2011-2012, the independent think tank Education Sector reports, citing data from the U.S. Department of Education. 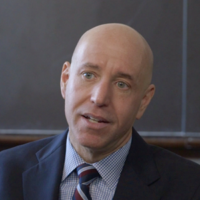 Education Sector research director Andrew Gillen says one reason for this drop is that students are seeking out lower-cost schools, pushing down the average tuition being paid. The other: that the schools are cutting their prices. Some public and small private universities and colleges, too, are freezing or reducing their tuition in the face of pushback from parents and policymakers. The average amount families paid for college, per student, fell to about $21,179 in 2012, down from a high of $24,097 in 2010, the loan provider Sallie Mae has reported. That’s because more have sought out less-expensive schools, or negotiated ever-larger discounts. Sallie Mae found that two-thirds of families eliminated one of more colleges from consideration because of cost. Meanwhile, to the consternation of higher-education administrators, university and college enrollment has been flat or down. Enrollment overall fell 2.3 percent in the spring, the National Student Clearinghouse reports, and a steep 8.7 percent at four-year, for-profit colleges.